Looking for something different to use at your next event or give as a meaningful gift? Monogrammed items are personalized just for you or your recipient — unlike generic items you can purchase from the store. 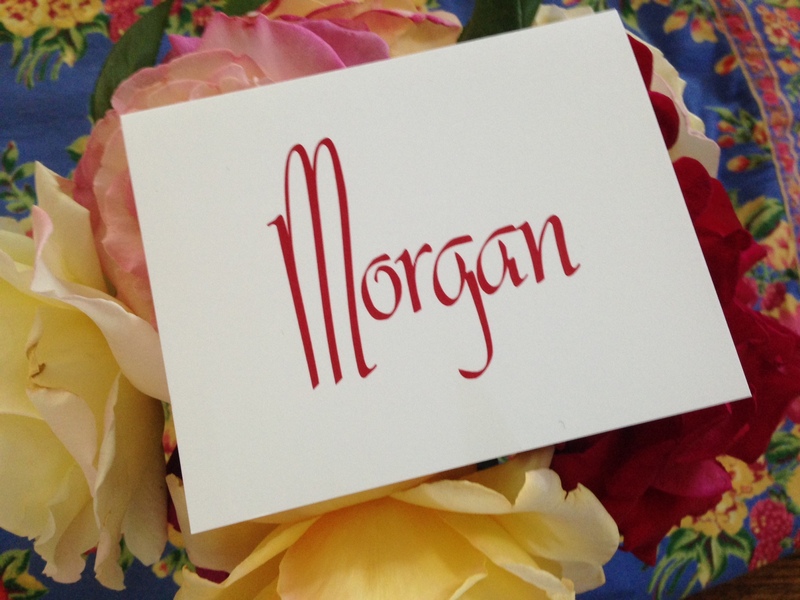 Monogrammed gifts and decor are a great way to personalize your life and wow your friends. To get something creative and different, use our Personal Style Tool. Our process for choosing the right monogram design will help you pick out the perfect item with confidence. You can make unique projects by adding initials in a stylish way. A monogrammed item is created by you, but a special monogram generator will help you create your ideal mark with ease. 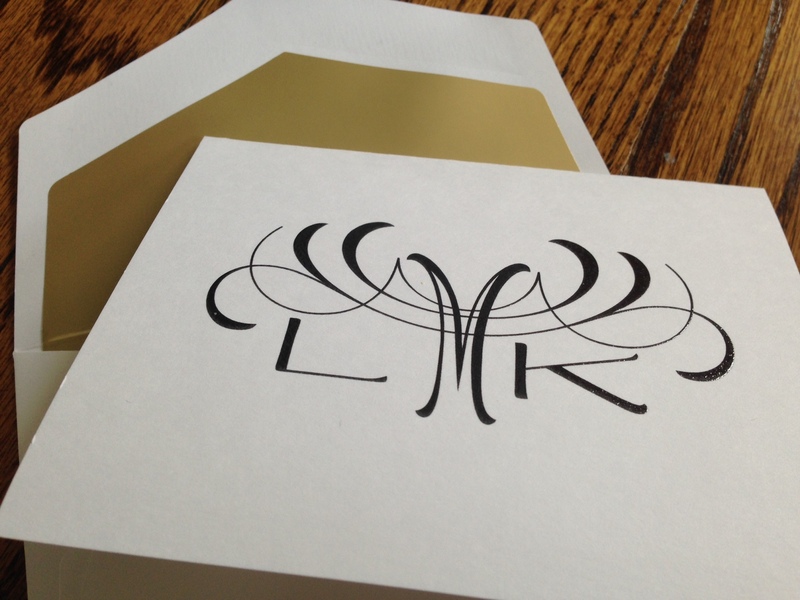 You don’t have to be familiar with design or typography to use a monogram generator and order your personalized items. Just about everything you wear, display, use or decorate with can have a personalized mark. 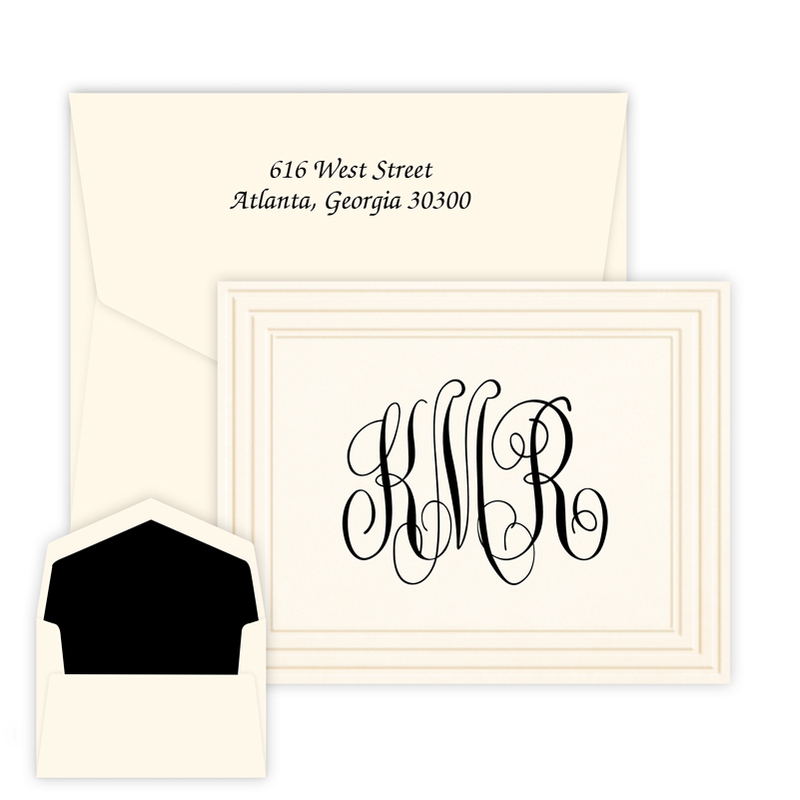 Monograms are the perfect way to set apart your parties, wedding, gifts and more. From etched glass coasters to napkins and bamboo cutting boards, there are tons of ways to personalize your life. Finding the right gift can be tricky. You want something that is different, but still useful and beautiful. Monogramed items are the kind of gifts that carry memories and meaning. A boss who receives a monogrammed mug for his desk will appreciate the gift as classy and professional. A bride who gets monogrammed guest towels for the bathroom or coasters for the home will see the gift as a special token of her big day. Monogrammed gifts that are given to family members can carry the weight that comes with the family tie of sharing a last name. Items that are monogrammed unquestionably belong to the recipient, which means they were carefully chosen and ordered, not selected generically. Not all products are the same or have identical shapes for holding your monogram. Monograms on round coasters are probably going to look different than at the top of personalized stationery. To start in choosing the right monogram, you need to pick the item you want to mark. You may not have the space to do three letters and just prefer one. On business-focused items, you might have the letters evenly sized instead of the center letter being larger. Consider what kind of style will work best on that item — fonts and layouts of the monogram can make the whole project look modern, chic, classic, flowery and more. Those styles will change how someone interprets the gift or how an event is perceived. A fancy wedding script might be perfect for reception table runners, but it wouldn’t look right in the clean lines of a modern office. 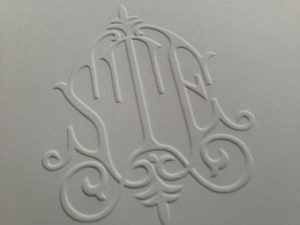 You want the monogram to fit the product perfectly for the person or space for whom or which it is being designed. Knowing how you want the result to turn out and what product you are planning to get it on is the first step to creating a great monogram. Once you’ve determined the shape and style of the monogram you are going to create, the next step is to look at lettering styles. Monogram fonts can be plain or intricate. A font that is generic will look like something that could be made in Word on your computer and printed. Some fonts are not well-made and don’t create elegant design elements. At Giftsin24, we offer specialized fonts in our design generator so that even the non-designer can create a professional-grade product. The right monogram font will enhance your design and convey the style you determined was best for the product you are marking. 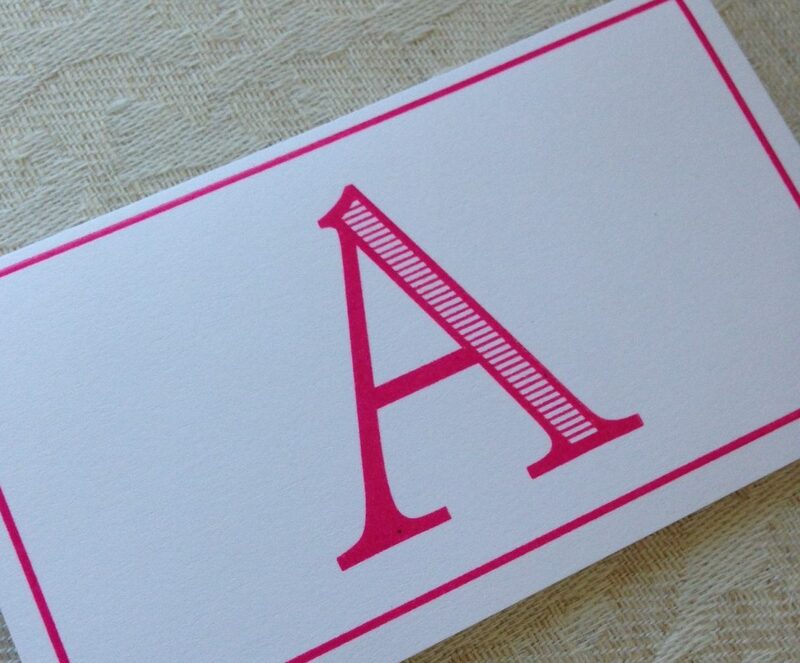 A font should easily fit into the space designated for the monogram without looking cramped or stretched. 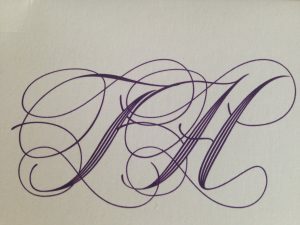 The monogram letters should flow into a design element but remain easy to read. We’ve chosen great fonts specifically for monograms that you can’t find anywhere else to give your gifts a one-of-a-kind look. We make sure those fonts are well-suited to monograms by choosing a wide variety of styles in fonts that have good spacing, balance and are readable. The last name initial is always the largest in the center if you are doing the traditional trio of letters. You can use initials for individuals or couples in a monogram. For a married couple: The woman’s first initial is first, then the last name initial. The man’s initial is on the right. 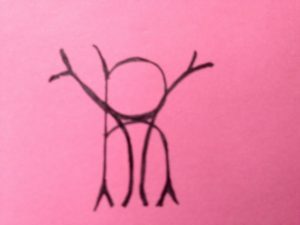 For a woman: Typically, her last initial is in the center with her first initial on the left and her middle initial on the right. However, if she is married, she can use her maiden initial on the right instead of the middle name initial. For a child: Monograms are perfect because they don’t give too much information in public. While the use of a first name might allow a stranger to act familiar with a child, a monogram personalizes the item to make it special and easily identifiable. 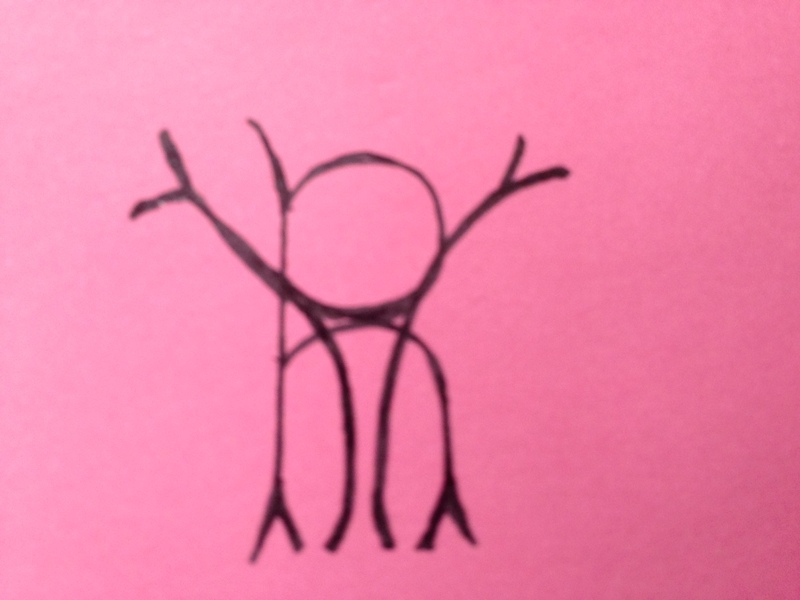 A child’s monogram will follow the first, last middle initial format. 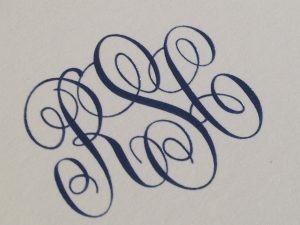 If the initials of your mark are the same size (instead of the traditional monogram with a larger letter in the middle), then the initials are in a first, middle, last name order. This often happens on shirt pockets, briefcases and luggage — among other items where lettering may be kept more straightforward and less decorative. When you’ve determined the shape and style, creating the monogram is simple. Creating a unique monogram doesn’t have to be hard or time consuming. Our special tool for generating your monogram makes the process incredibly easy. Rather than paying a designer or struggling with the process yourself, you can choose a product and use the monogram generator tool to finish the personalization process. For each of the items on our website, you can enter your information and choose the lettering style. 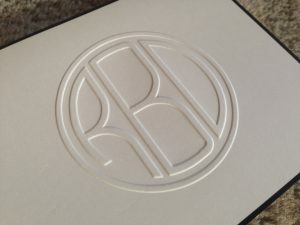 An immediate preview will show you exactly how the monogram will appear on the product, so you don’t have to guess if a specific style will look good in the space or fit correctly. When ordering, certain products can be finished specially to give them an even more unique edge. 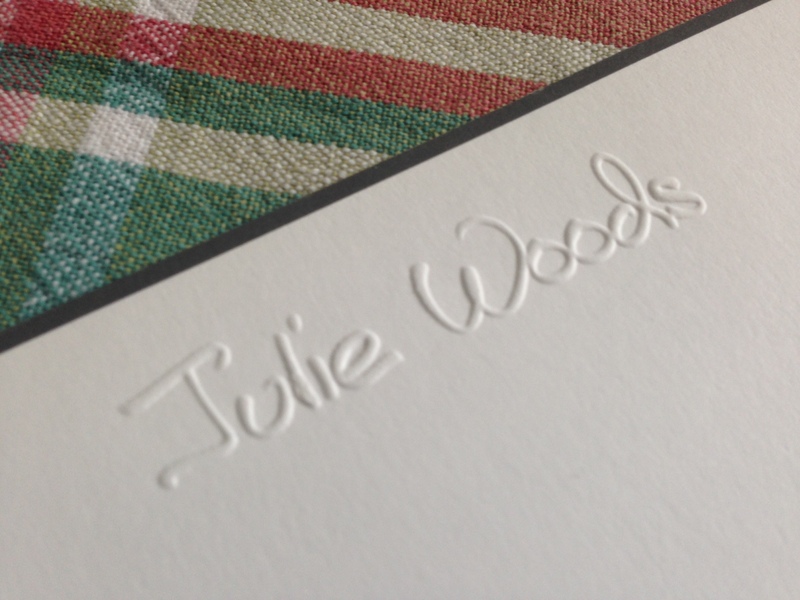 You can use embossing or raised ink for a classy look that visually pops from the page. 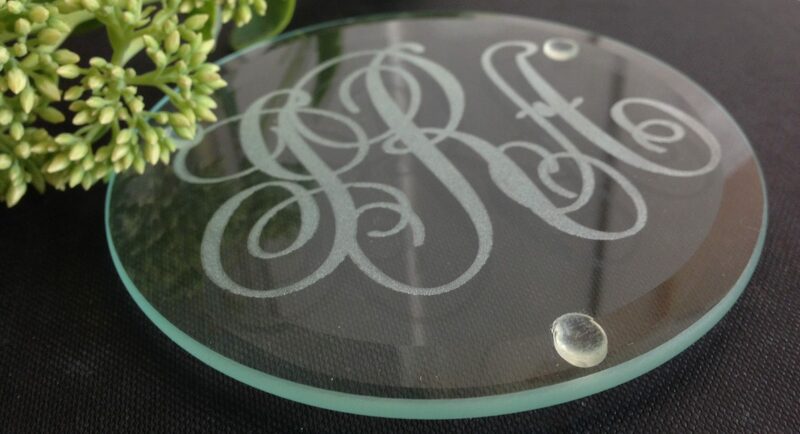 Your monogram design can be engraved on wood or etched into glass for a lasting, classy mark. Now that you’ve completed the design process, you can proudly show off your monogrammed items within days of ordering them. At Giftsin24, we pride ourselves on carefully creating and quickly shipping your items. We know you trust us with your gifts and specialty items, expecting each piece to be crafted with care. We have a great customer service team that is backed by a production team built over decades. So, what are you going to personalize? 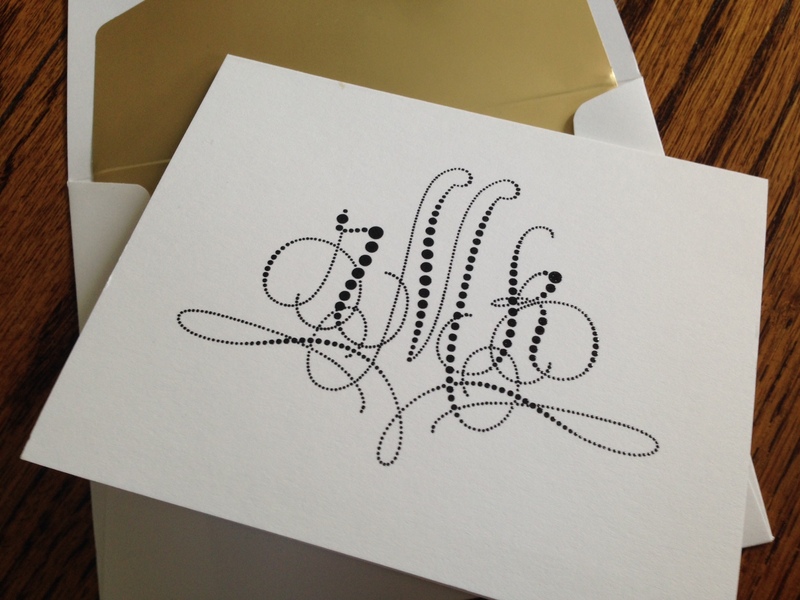 Giftsin24.com offers dozens of lettering styles and monograms. We pride ourselves on offering you lots of choices to find that perfect typeface that matches your personality. We offer different lettering style choices on different products. When you’ve found a favorite lettering style, you can now more easily and quickly find products that offer it with our new Personal Style Tool. Within just a few seconds, you can see at least 50 personalized items, choose one, and order it. It’s never been easier to create a personalized gift on our website. From the home page, simply enter your name or monogram, and we’ll show your moniker in 10 of our most popular lettering styles. Like a lettering style? Click on it and we’ll show you products that offer this particular lettering style. These items range from notes and cards to napkins and notepads, to coasters and glassware, to picture frames and cutting boards and so much more! Your personalization will look fabulous on any of these products. Click on one you like to learn more about it. Just click the “Order Now” button on the bottom left side to see your personalization in your chosen lettering style on this product. In some cases, we can’t show you the entire product, but you can get a good idea. If, you’re not sure this product is for you, you can go back to product results page. Or, try a new lettering style. 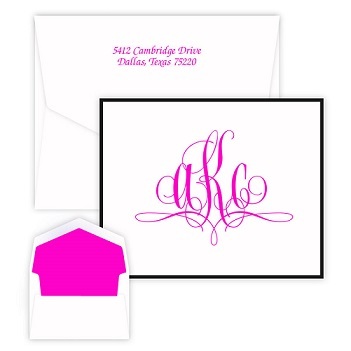 Classic Monogram features script letters that overlap. In the previous three blog posts, we’ve explored many aspects of the Monogram, including its ancient history, its Victorian popularity and its definition. Today, we talk about the modern monogram, its meaning and uses. What does the monogram say about ourselves and our culture? Why do we use it? In modern American culture, one of the most prominent uses of the monogram is to mark the corporate brand. Companies spend millions of dollars designing and promoting their company names. They often reach for the monogram to create a compelling identity marker in the public sphere. Think: Louis Vuitton (LV) and Coco Chanel (CC), General Electric (GE), CNN, HP, NBA, and on and on. Many of these brands are household names. We consumers instantly identify companies by two or three letters and their unique typographical or design treatments. That’s a monogram at its most powerful. Corporations wield monograms like royalty of yore, using it as a mark of trust, authenticity and quality. One of the most powerful historical meanings of the monogram that still persists today is a mark of royalty and celebrity. When we monogram our sheets or a wine glass, we think of ourselves as indulging in a taste of luxury. Monograms are a treat, especially when they are embossed in beautiful paper or engraved into a beautiful wood picture frame or embroidered on a gorgeous piece of linen. When we can afford to, we reach for this small sign of sophistication and good taste. 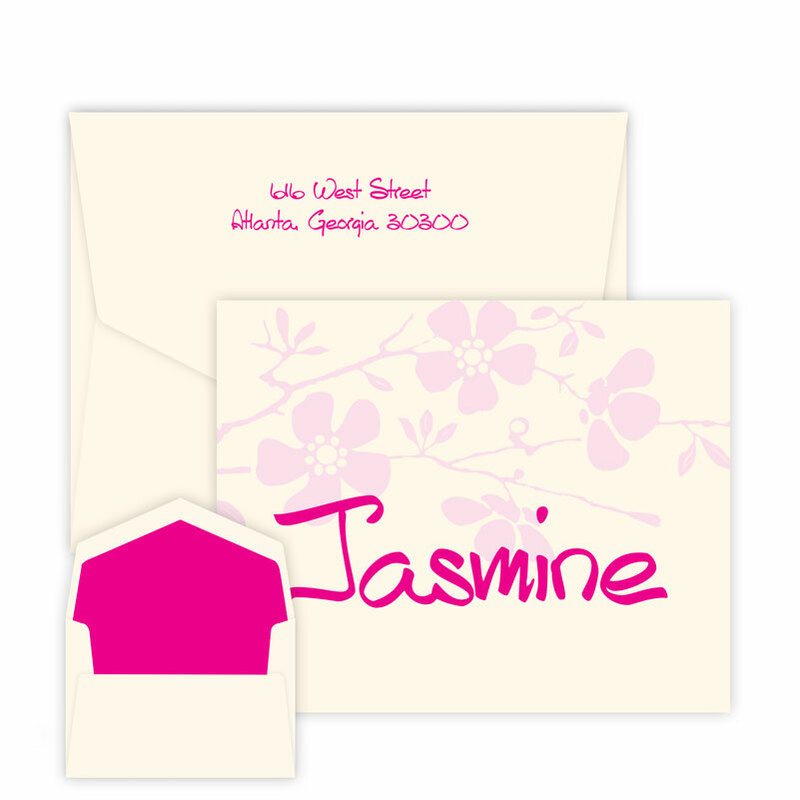 When we decide to purchase personalized stationery rather than plain, we are taking that step to rise out of the mundane. We want to feel special and unique. 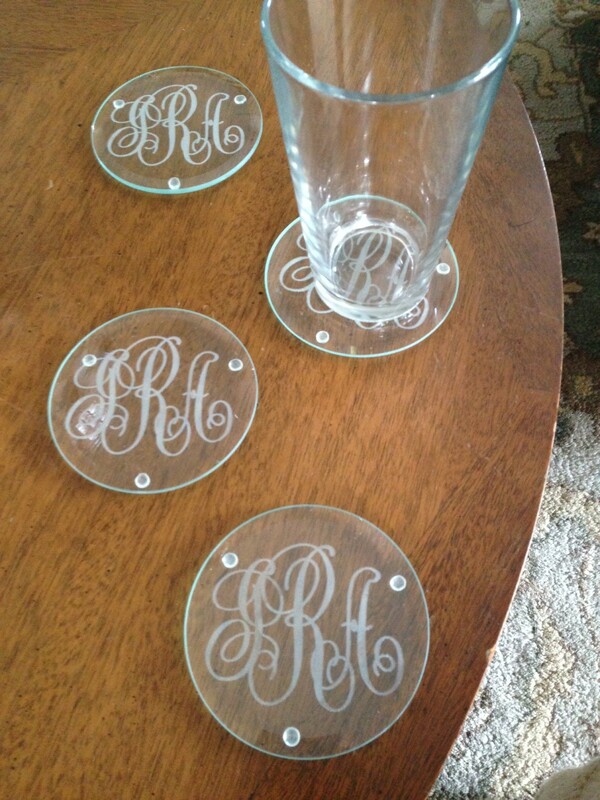 Lovely monograms engraved on glass coasters. Finally, in our modern day culture that is digitized, easily duplicated, complicated and busy, we crave touchstones to simpler times. In this way, monograms have a conversation with the past, as well as the present. Social media reproduces a million copies in an instant. But a monogram is a mark of hand-crafted tradition. 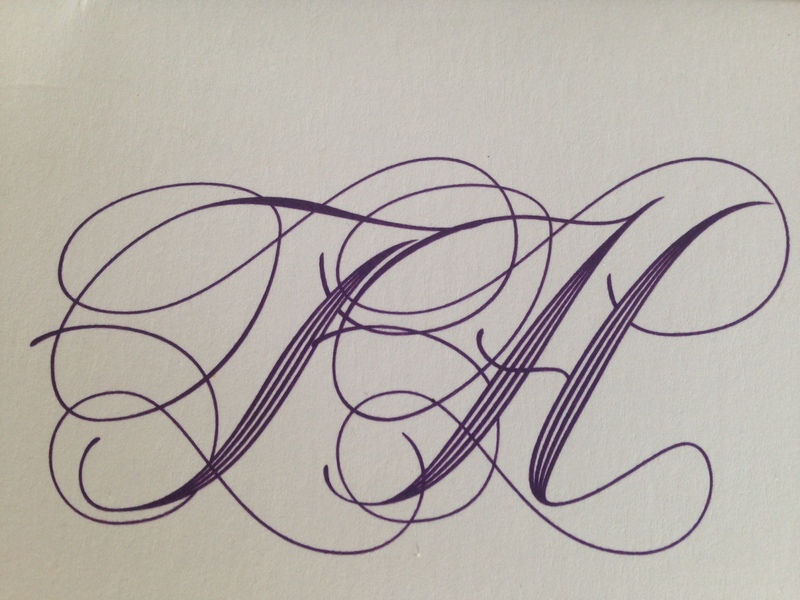 Typographical experts create a monogram. And craftspeople apply it. We emboss and embroider it. We engrave it. 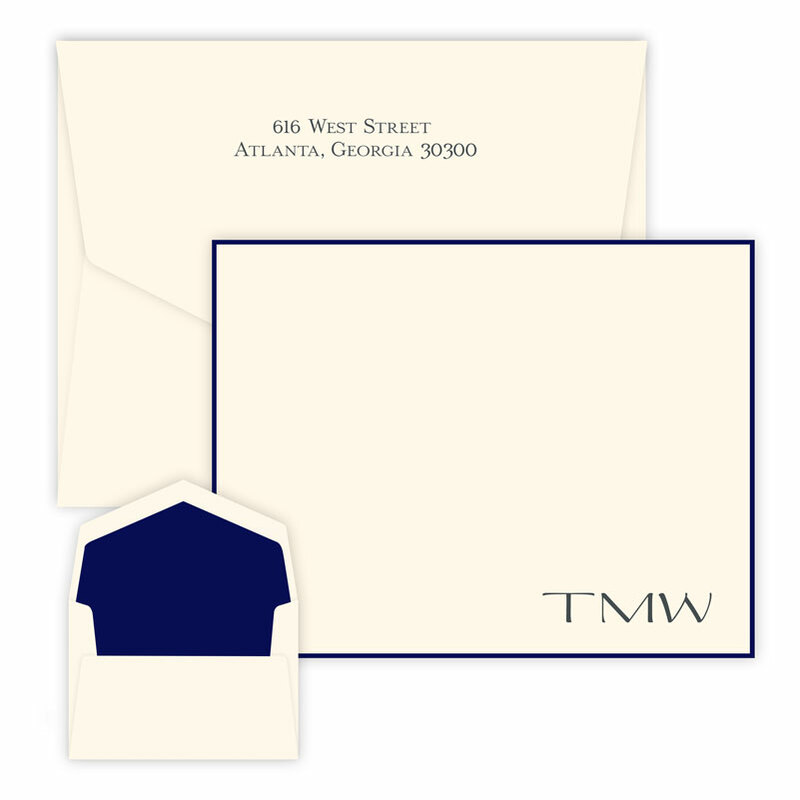 In defiance of email or texting, we send a monogrammed note to thank our friends and family. We beat back the impersonal forces in our lives when we lay our heads on the embroidered pillow cases our Great Aunt Margie made for her wedding trousseau. We replicate that hand-made, bespoke quality when we give a new bride and groom a monogrammed, engraved set of wine glasses. With so many lovely designs and practical uses, the modern monogram is here to stay. Monogram Magic: What is a Monogram? In two previous blogs, we talked about the ancient history of monograms that traces all the way back to the Greeks, as well as the Victorian mania for monograms that had people putting their monograms on everything from their tablecloths to their bloomers. Today, we’ll be taking a step back and asking: what is a monogram? Be prepared to learn some things to pull out at your next cocktail party conversation. If you ask your friends what a monogram is, they might say that it’s a series of three letters representing your name. The word “monogram” derives from two Greek words: mono, meaning single, and gram, meaning letter. It means that letters were combined into one sign or symbol. So in contemporary, popular culture, the idea of a monogram is actually not well-defined. Can it have two letters? Five letters? 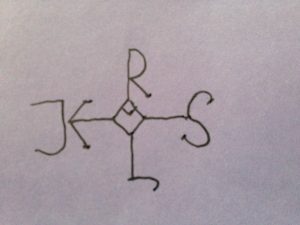 Do the letters connect or can they float freely? How are they arranged: sideways or up-and-down? Are letters block or script? In today’s world, we don’t seem to sweat the details; all seem acceptable. In the Victorian Age (1837-1901), people thought that sometimes the letters of a monogram should connect and intertwine, even if that meant you couldn’t actually read the letters. At other times, legibility was important. The Sienna Monogram Note features a flowing, elegant monogram where letters overlap and interlace, and are almost difficult to read. If you are the type of person who likes rules, a modern monogram scholar, Nancy Sharon Collins, author of The Complete Engraver, introduces the term “cipher” to help to clarify the situation – perhaps. Let’s note that we usually associate the word “cipher” with the idea of a code or something you have to interpret. For this reason, we aren’t sure that the term cipher helps clear things up. The meaning fights its colloquial use and may muddy the waters more: Ciphers – free-standing letters – are actually easier to read than monograms – highly interconnected letters that can be hard to read. If we look at the designs offered here at giftsin24.com, we see a variety of styles, both “ciphers” and “monograms.” We label all these marks “monograms” on our website. We have block letters that don’t touch. These, Collins would say, are ciphers. Circle Monogram features block letters that don’t touch. It’s a more modern look and feel. We have two-letter monograms, such as Dorset. The strokes overlap. It’s hard to tell one letter from another. For these reasons, Dorset might fall into the category of a true monogram, even though it’s only two letters. Dorset two-letter monogram includes letters that overlap and are more difficult to read. Here is a T and an H.
And, giftsin24 also features three-letter monograms where letters thread through one another. Classic Monogram features script letters that overlap in a more traditional feel. So there, you have it…some food for thought about the exciting world of monograms. Are you ready for your next cocktail party? Tune in next time when we explore the modern uses and meanings of monograms. Nancy Sharon Collins. The Complete Engraver: Monograms, Crests, Ciphers, Seals, and the Etiquette of Social Stationery. 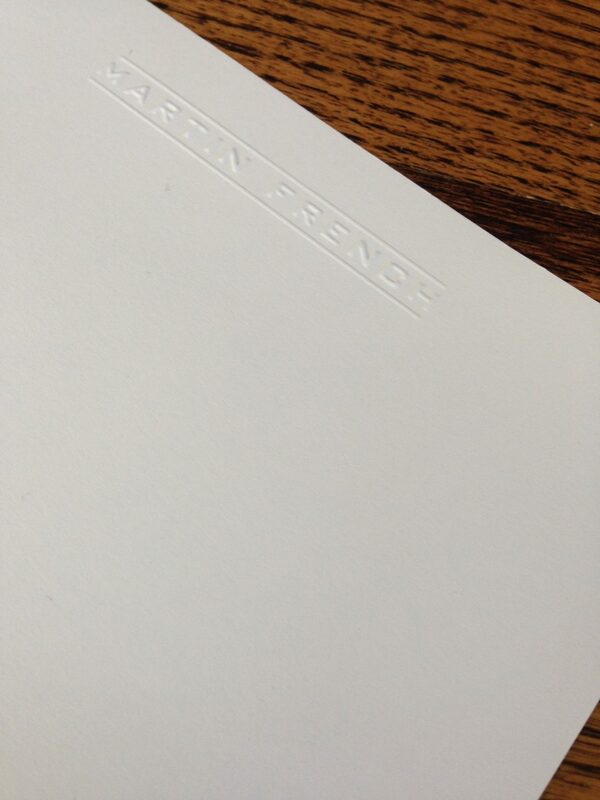 Princeton Architectural Press, 2012. J. O’Kane. An Encyclopedia of Monograms. Originally published in 1884. Reprinted by Dover Publishing in 2003. 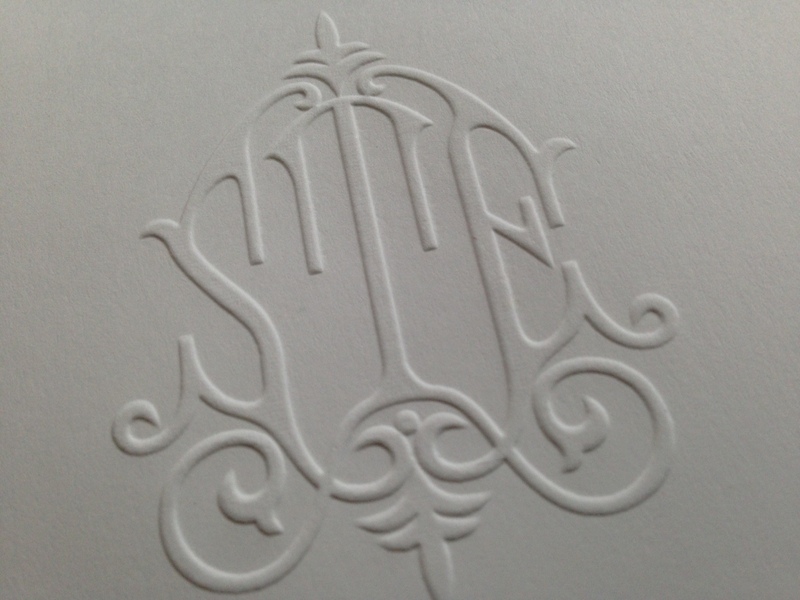 Our Whitlock Monogram is based on a popular Victorian motif. What was going on? The Industrial Revolution ushered in a new middle class of factory owners, bankers, railroad managers, insurance agents, merchants and all the salaried professionals who helped run these businesses, as well as new ranks of civil servants, teachers, doctors and lawyers, according to Donna Loftus, author of “The Rise of the Victorian Middle Class.” Millions of people now had disposable income, and they desired some of the comforts of the upper classes. They began purchasing household goods as well as clothing, watches and jewelry, which the new economy had made more plentiful and affordable than ever before. At the same time, the idea of celebrity took on power in popular culture. People began collecting crests and monograms of the rich and famous, according to Nancy Sharon Collins, author of The Complete Engraver. Queen Victoria’s Monogram went through many iterations. Here is a simple one. Enthusiasts created albums of their most prized monograms, marks and seals. In this age of avid letter writing, “coats of arms or monograms from famous families, politicians, opera stars, or members of the theater were particularly coveted and displayed,” writes Collins. Whole books explored and documented monogram design, such as An Encyclopedia of Monograms, published in 1884. The book included 5,000 decorative monograms to inspire artists and craftspeople. Louis Vuitton company developed its monogram in 1896. The expert needlework skills attained by women – at all levels of society – and the invention of the Jacquard loom, which spurred faster and cheaper textile manufacturing, coincided to create the perfect circumstances for a boom in monogrammed linens like we’ve never seen before or since, according to Robin Molbert in Monograms and Antique Linens. “Bold and artful monogramming burst into vogue, serving as a kind of democratizing factor in the personalization of one’s linens,” writes Molbert. In England, France and the U.S., women formed sewing and embroidery circles to enjoy and support one another in their endeavors. They shared ideas and perfected their art, incorporating many other aspects including lacework, cut-outs, florals, animal figures and much more. To this day, many people still cherish, value and collect antique linens from the Victorian Age. A rather funny example: In December 2016, a pair of Queen Victoria’s monogrammed bloomers went on auction, expected to be sold for £6,000. Some famous monograms developed by the Victorians continue to be in vogue. The world of consumer goods offers a perfect example: The interlocking L and V on Louis Vuitton’s bags and luggage. His son Georges designed the iconic image in 1896 to increase sales. And the practice of monogramming continues to be popular. Whether it’s stationery or wine glasses, ornaments or napkins, personalizing one’s possessions conveys tradition and a sense of pride. Our story about the monogram isn’t over. Next we ask: what exactly is a monogram? 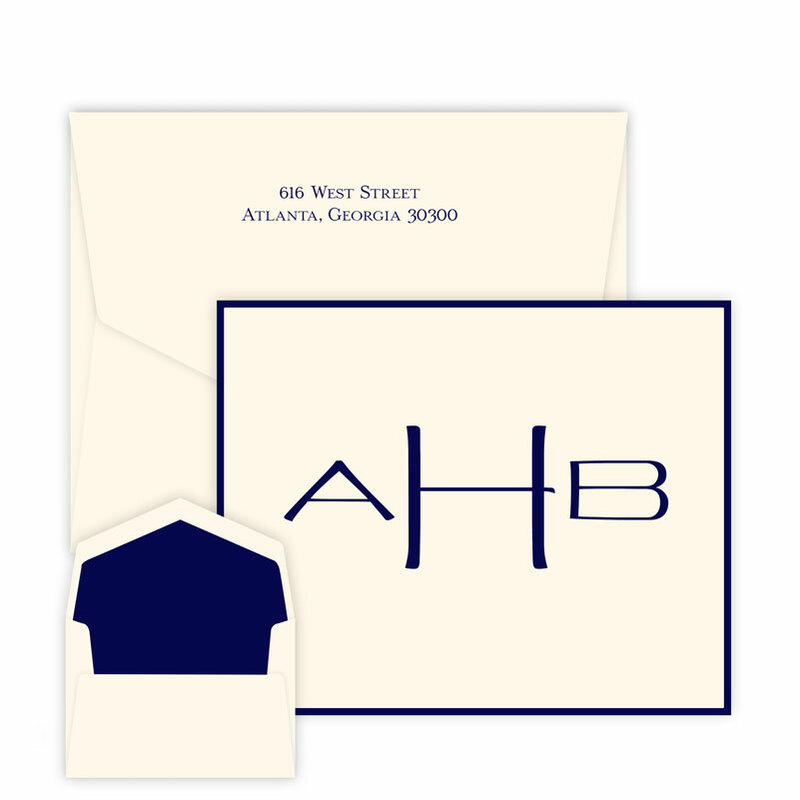 Explore our lines of monogrammed Cards, Notes, Notepads, Napkins & Guest Towels, and all Monogrammed Items. Donna Loftus. “The Rise of the Victorian Middle Class.” BBC History. Website. Robin Molbert. “The Royal Lineage of Table Linens.” Monograms and Antique Linens. HM Books, 2016. Rita Weiss, editor.Victorian Alphabets, Monograms and Names. Dover Publishing, 1974. You love your monogrammed stationery…it expresses your identity, connects you to tradition, and symbolizes your enjoyment of the good things in life. 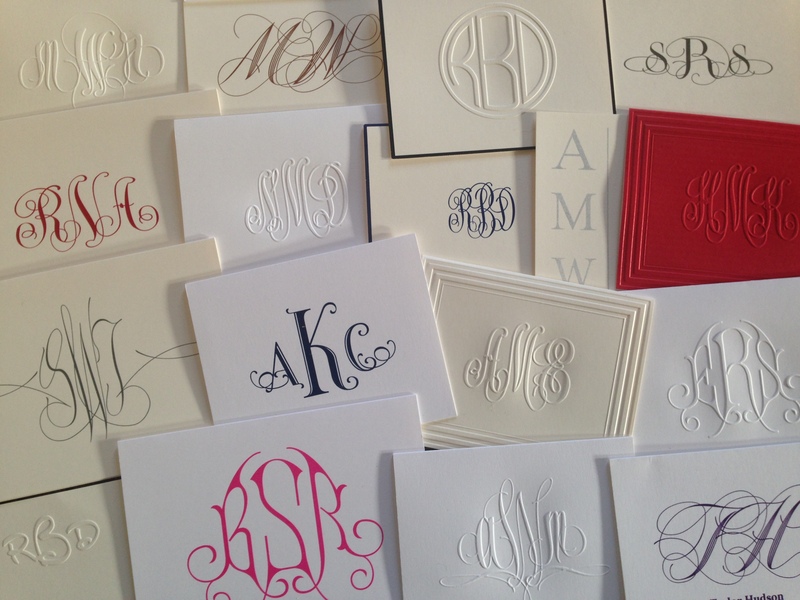 For all of these reasons, monogramming is undergoing a renaissance. But did you know how the monogram came to be “a thing”? In these next four posts, we look into the history of the monogram, its heyday in the Victorian era, as well as its meanings and contemporary uses. In fact, the origins of the monogram go way back. Not on paper or even cloth: those are relatively recent applications. The first monograms were stamped on coins in ancient Greece. Along the way, monograms have bridged the gap between word and image to create potent symbols of identity and authenticity. In Western culture, the earliest known monograms popped up on ancient Greek coins in around 300 B.C. 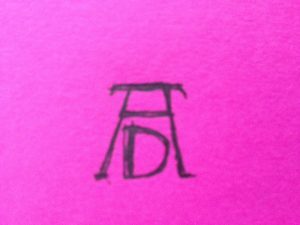 (In Asian cultures, since their written characters do not stand for letter sounds, the monogram evolved a little differently.) The initials belonged to the private bankers, city-states or rulers that made the currencies, according to the online Handbook of Greek Coinage. In these early days of money, when issuers wanted people to trust using it, the monograms lent authenticity. This practice of stamping coins with monograms continued for centuries, according to A Study of the Development of Monograms. 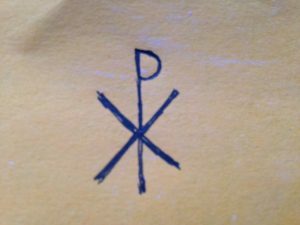 For example, Constantine the Great, who founded Constantinople in 324 A.D. created one of the most famous monograms, a large P with an x through the stem. Another famous coin monogram belonged to the emperor Charlemagne. He liked it so much, he decided to use his monogram instead of his face on his coins. The history of the monogram continued as other uses developed. Does your Grandmother have a signet ring? It derives from the fancy signet rings rulers wore that allowed them to quickly sign documents using a blop of wax. Later, masons proudly carved their monograms or stone masons’ signs into new cathedrals. Around this time, people like farmers and prominent citizens began monogramming their walls, prized equipment and even gravestones. These were called house marks. Later in the 15th century, artists used monograms to sign their works. Italian potters created quite intricate and sometimes beautiful monograms on the bottoms of fine majolica vessels, according to Marks and Monograms on European and Oriental Pottery and Porcelain. And Renaissance painter Albrecht Dürer developed one of the more famous monograms, an attractive D under an A. But the Victorians took monogramming to a whole new level. Tune in to the next post, where we explore “monogramania” in the 1800s. Marks and Monograms on European and Oriental Pottery and Porcelain. William Chaffers. 14th edition. Borden Publishing Company, Los Angeles, CA. 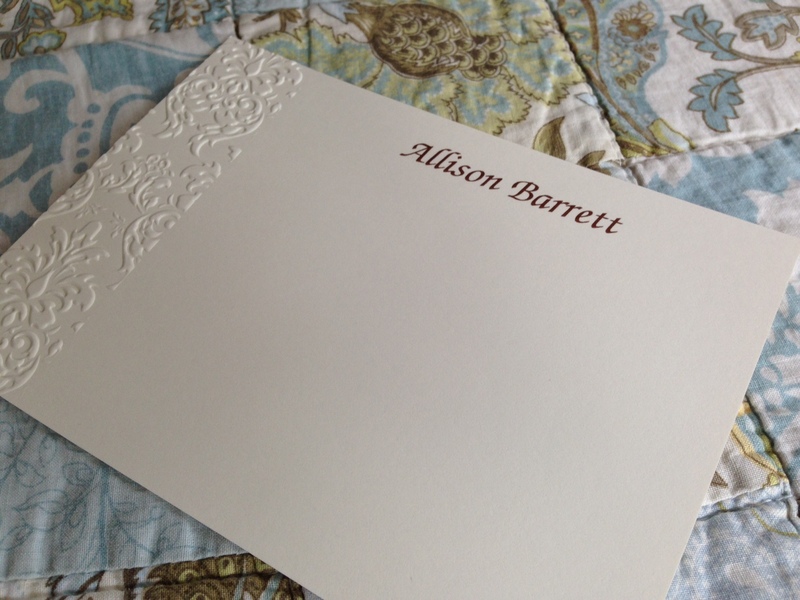 Nothing says quiet sophistication quite like classic a embossed monogram. 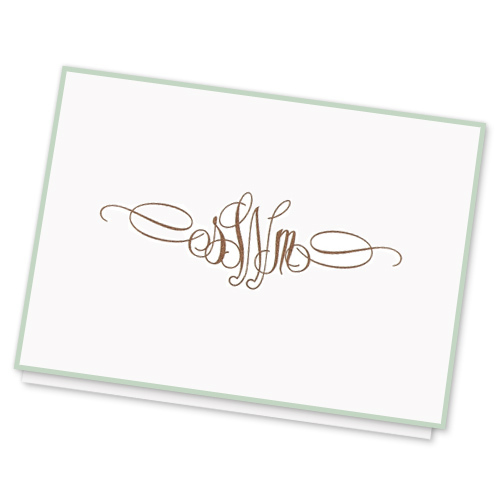 Giftsin24 has a large selection of monogrammed notes and cards to choose from. 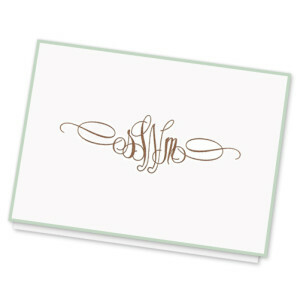 We have traditional script monograms, classic initial monograms and eclectic, artistic monograms. 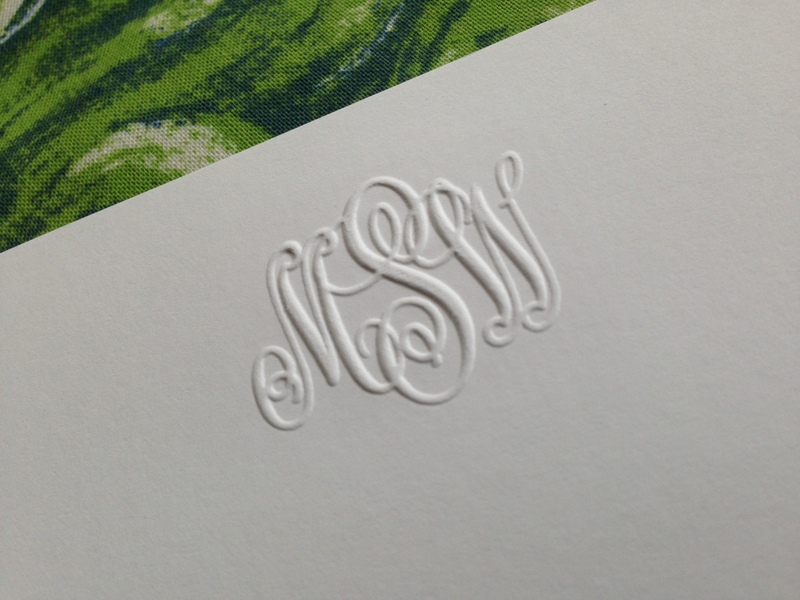 All of our monograms are deeply embossed and showcase your initials in delicate detail. Whether you personalize a foldover note or a flat-panel card with your personal initials, you will appreciate the fine quality and exceptional beauty of our monograms. Classic and refined. 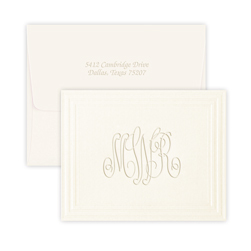 The Classic Frame Note has the perfect embossed monogram! Choose from a prominent 2 ½” size monogram or a traditional 1 ½” monogram, embossed borders and frames, and multiple paper colors. Our paper is smooth and thick – a pleasure to write on. You will truly enjoy corresponding with these luxurious papers! • Couples – The monogram will be the bride’s first initial, the couple’s last name, and the groom’s first initial, in that order. For example, Mary and John Smith would be M S J. • Women – A woman’s monogram is traditionally presented as first, last and middle initial. So Mary Elizabeth Jones would be M J E. It is always appropriate to use a woman’s initials in this way, even if married; however, it’s more common to use her first, maiden and married surname if she does marry. For example, Mary Elizabeth Jones Smith would then be M S J. • Men – A gentleman’s monogram is often done in first, middle and last initial order. John Andrew Smith would be JAS. In this instance, the initials are all the same size. 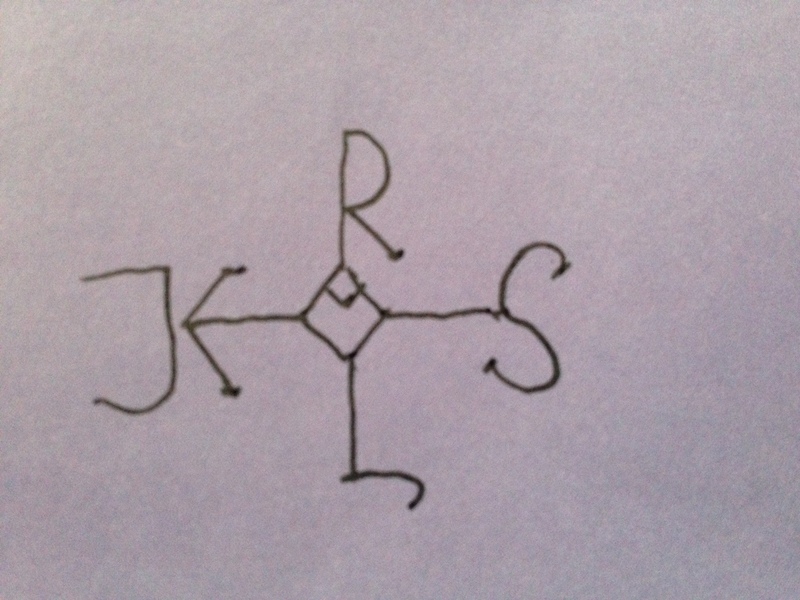 You may also choose to put the gentleman’s surname in the middle, as J S A, with the center initial larger in size. • Children – A child’s monogram follows the traditional first, last, middle initial order. As with any monogrammed gift, you will want to consider the age and tastes of the recipient – traditional, modern or whimsical. 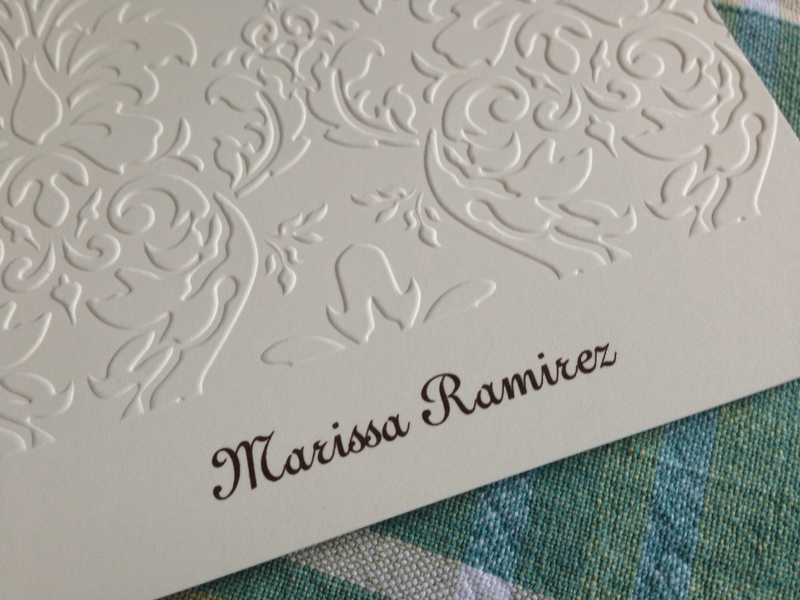 The sculptured look of embossing has a timeless appeal. It’s a classic that never fails to impress. Browse our selection at Giftsin24.com today and find the perfect gift for every occasion.